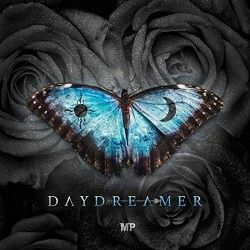 Matthew Parker is proud to unveil Daydreamer featuring 16 brand new tracks. The album, which was self-produced by Parker, reveals a large lyrical and sonic leap forward as he further progresses into deeper elements of pop and rock while fusing it with his trademark fresh electronic sound. Not to stand solo on this release, Daydreamer has welcomed guest vocals from Holly Starr on”Paradise”, from label-mate Landry Cantrell on “Lucid” and also introduces Austin Lanier on “Every Other Day”. You have probably seen the name Matt Parker around as he has often performed remixes of other people's music, plus other artists are starting to collaborate with him, particularly those from his home record label, Dream Label Group. This is also the second album of his that I have reviewed and I would encourage you to check out my review of "Adventure" here. Normally we can expect something a little different from Matt and this album is no exception. The area Matt usually dwells is very much in the electronic dance area so the first track on this new album rips that up straight away. The song "Alice" focuses on the vocal with some effects on the background, but largely this is completely unaccompanied. The track is called "Alice" and it clearly refers to Lewis Carroll's character from the books "Alice In Wonderland" and "Alice Through The Looking Glass". Here we are invited into the world inside Matt's head, and like all the rest of us, it's all he's ever known - we all have our own peculiar madness that we don't show! You can watch the video of this opening track above. "Good Memories" is about special moments of youth shared with a good friend. A good friend may be gone, it may be someone you never see any more, but you will never forget those special moments with them. Like many of the tracks on this album it's just a track that makes you feel great, it's quite light and upbeat. Things do get a little more serious in "All I'm After" in which he asks the question, is he going to chase his dreams, or is he going to chase 'you'? It's unclear at this point who the 'you' is, it could be a romantic relationship, but given the confidence he places in 'you' I believe that he is talking about God. Therefore the choice is empty dreams or to chase God's plan and purpose? He leaves us with this thought " You're the only thing in the world that matters, Through good or disaster", this is something we need to be reminded of, that our God doesn't change, no matter what circumstances we face. "Breathe" talks about those times when we feel emotionally like we are ripped open and our world falls apart, at those times we need to make a 'trust fall' into Jesus. He promises to never leave our side, and that He has been with us since before the day of our birth, we just need to fall on him and breathe. Holly Starr returns the favour that Matt did for her on her album "Human" and contributes to the vocals on "Paradise". This track is about the end of life but is a nice and light tune and asking the listener not to cry but to let us go to paradise, this is the hope and the outlook of a believer faced with death. "Blue Diamonds" uses cultural markers to measure happiness and finds that wealth and status just doesn't measure up. Some of these tracks are highly personal and Matt has shared some of the stories behind his songs on his Facebook page. Although "Let U Go" sounds like it could be about a lost love in life, it's actually a song about his brother who had an accident on his bike, colliding with a pedestrian, he never recovered consciousness before he passed away in hospital a few days later. I think this story is also the inspiration behind the later track "I Miss U" where he considers the loss and what could have been. These moments are hard to accept and I am sure they are hard to write about too, it adds value to the songs like "Breathe" that we know he is actually speaking from experience in these lyrics too. It also impacts "Braver" which reminds us that coming out the other side of our struggles will make us stronger, braver and make us rise up higher. Finger snaps are not always what you might expect to find on this kind of album but "Every Other Day" has these keeping the beat along with guest vocals from Austin Lanier. We go back into the inside of Matt's mind as he considers the freedom and carefree attitude of his childhood and now he feels burdened by the problems of living as an adult. It takes Austin to step in and remind us that we are the way we are, and we all have ups and downs. "Legends" brings a similar sense of youth and a bright future waiting in the same way that "Good Memories" invokes the friendships of the past and has a great feeling that we are meant for something great in this life and the amazing potential that we have. "Bittersweet" again has the element of loss hanging over it, this time it is the loss in a romantic sense, and his Father's good advice not to live in the past, the reminder is that some elements of life are bittersweet and eventually the pain will be just a memory. 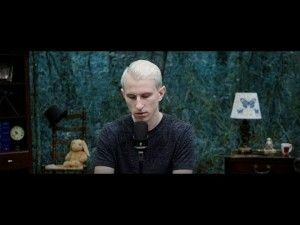 Fellow Dream Label Group artist Landry Cantrell joins Matt on the track "Lucid" and this is a great combination of two up-and-coming artists. The song is about walking by faith through our lives and the pursuit of God. The last track on the album is actually something beautiful. Called "Time Stands Still", it talks about spending time with God in our day to day lives while the world goes on around us. So many of us skip the Holy moments that we could share with God because we are too distracted by the world, so it's great to have this reminder. This is a lot more of a mellow track than what we are used to from Matt Parker. There is less of the EDM style on this album, although there are still some solid tracks that fit here, but there are much more story and encouragement tracks on this album which are good to feed our faith. I have to admit that on the first listen through everything had a similar feel to it, but I was not in a good place mentally, or emotionally, to be listening to some of these tracks at that moment. Listening now the constant really on this album is Parker's vocals but there are a lot more styles explored here including personal ballads, dance and more pop-friendly tracks. If you are suffering through a problem then let "Breathe" remind you that you fall back into the arms of Jesus and then be encouraged by "Braver" that you will recover stronger and better than before because you will have survived, learnt and trusted God. These tracks are the centre of this album for me, with insights into the mind of those who are struggling with personal circumstances, and other tracks on this album remind us that it's OK to feel crazy in this world. There are some very cathartic songs that are worth listening to here.